Working together to support creativity! PAAM’s seeks out partnerships and collaborations with schools, non-profit organizations and businesses, which are all vital to the success of our youth education programs. 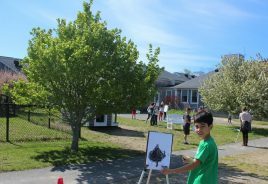 PAAM’s partnership with the Monomoy Regional School District reaches back over a decade, when art teacher Bernadette Waystack conceptualized the curriculum From Hawthorne to Hofmann: the Provincetown Art Colony and Its Impact on Your World. 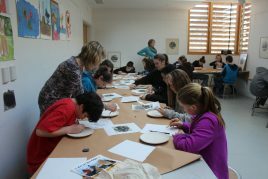 Since that time Bernadette has brought 100s of 8th grade students to visit PAAM’s galleries and work with local artists. We’ve also worked with artist-teachers Catherine Moye, Deb Donovan and Liane Biron through PAAM’s Lenore Ross Curating Program. 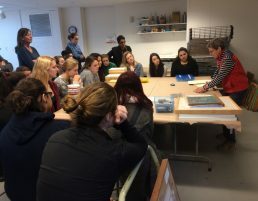 Recently, Liane brought a group of National Art Honor Society students to PAAM to learn about the work of Clare Leighton and create plates in the Museum School. Recent collaborations with Nauset Public Schools include professional development sessions with art teachers; the creation of an exhibition with Nauset High School art teacher Ginny Ogden’s and her students; a printmaking project with Wellfleet Elementary and Meghan Swanson’s 5th grade art class; and a plein air project with Eastham Elementary and Molly Driscoll’s 3, 4, and 5 grades. Provincetown Schools and PAAM have enjoyed a special and enriching partnership for decades, including the co-founding of the Student Curating Program in 1992, which was created to engage local elementary and high school students in the rich cultural history of the Outer Cape. 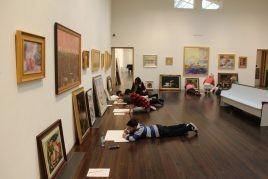 In 2005 the Curating Program expanded to include exhibitions created by school administrators and educators. Fittingly, the inaugural Educator Curating Program featured the work of 11 Provincetown teachers, working across a variety of disciplines. Over the past 3 decades, Provincetown Schools and PAAM have mounted 60+ student and educator exhibitions in the museum’s galleries. Recent collaborations include the Harvesting the Land and Sea exhibition, and regular visits to museum’s galleries. 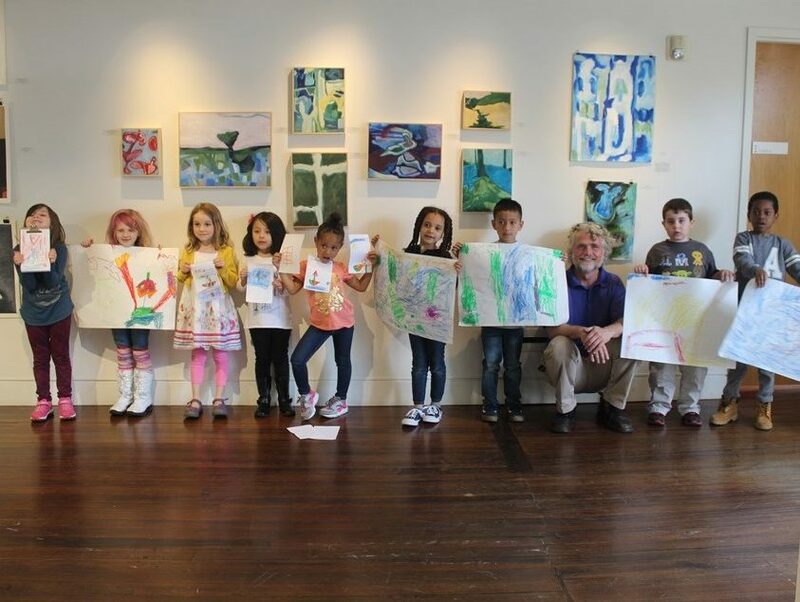 From a recent visit: members of Provincetown’s kindergarten class are pictured with Art Teacher Michael Gillane. One on one connections with innovative educators are the foundation of all PAAM’s school collaborations. 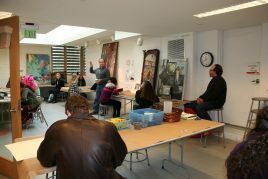 Our partnership with BHS began with art teacher Carl Lopes, whose commitment to arts education included establishing a permanent gallery space in the high school. PAAM partnered with Carl and his students in 2014, along with the Cultural Center of Cape Cod to mount two student curated exhibitions, featuring PAAM collection artwork and original student work. Since Carl’s retirement, PAAM has worked with BHS Art and Applied Technology Director Matt Kemp and Art/Art History teacher Abby Fay. CCLCS’s partnership has included multiple exhibitions in PAAM’s galleries, featuring both student and educator works of art. 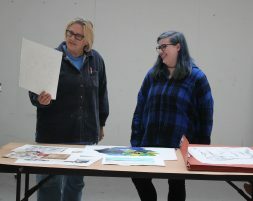 Of her experience working with students in the Curating Program Art Teacher Debby Greenwood has said, “PAAM provided my students with the chance to experience art in a meaningful way through the Curating Program. They had the opportunity to respond to authentic works of art by participating in creative writing and studio activities that extended their capacity to think creatively! Lynn Stanley was an outstanding guide through the process of aesthetic inquiry and this program enabled my students to leave with a respect for the creative process and empowered them to feel inspired and motivated. They made an important connection between the verbal and visual, as they used language to create written responses and drawing materials to illustrate what their writing inspired. 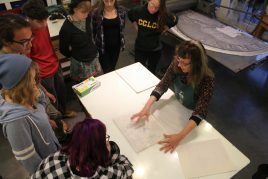 Thank you for this wonderful day!” A recent visit with Debby and CCLCS’s Art Spark group yielded wonderful dry point etchings with Artist Vicky Tomayko. 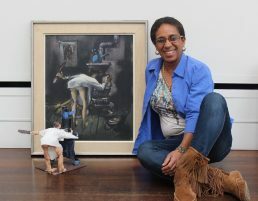 When the Curating Program expanded to include other school districts, Truro Central, with Art Teacher Kim Possee, was the first to come aboard. Since that time TCS, Kim and PAAM have worked together on a variety of projects, including the creation of multiple curating exhibitions. A recent visit with TCS’s 5th and 6th grade classes working in PAAM’s Museum’s School is pictured. Youth Artist Program: Artist and owner of the Oils by the Sea Gallery, Shirl Roccapriore, has collaborated with PAAM since 2014 to benefit our youth programs and celebrate young artists in our community. 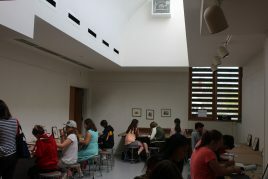 Since 2015, student artists from PAAM’s Art Reach program have been celebrated in summer exhibitions at Shirl’s gallery that coincide with Provincetown’s week-long Family Week events and activities. Of her reasons for the exhibition program Shirl says, “I had the good fortune of having a mentor at a very young age, who gave me opportunities that validated my love and pursuit of art. My intention is to follow the students I choose over a 5 year span; this select group will have another opportunity to come back to the gallery and show their latest work.” Art Reach students Hannah Capra, Kaleigh Mason, Allegra Martin and Sam Starobin have participated in the Youth Artist Program to date.